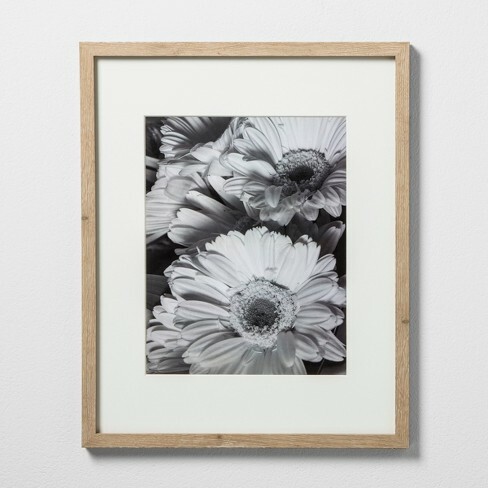 Where to buy gallery wall frames: IKEA, Amazon, Crate and Barrel, even Dollar Tree! Our wall was inspired by these frames that Studio McGee hung in their Modern Mountain home. 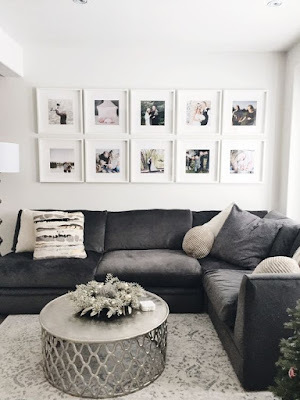 I loved the sleek frames with the larger mat! 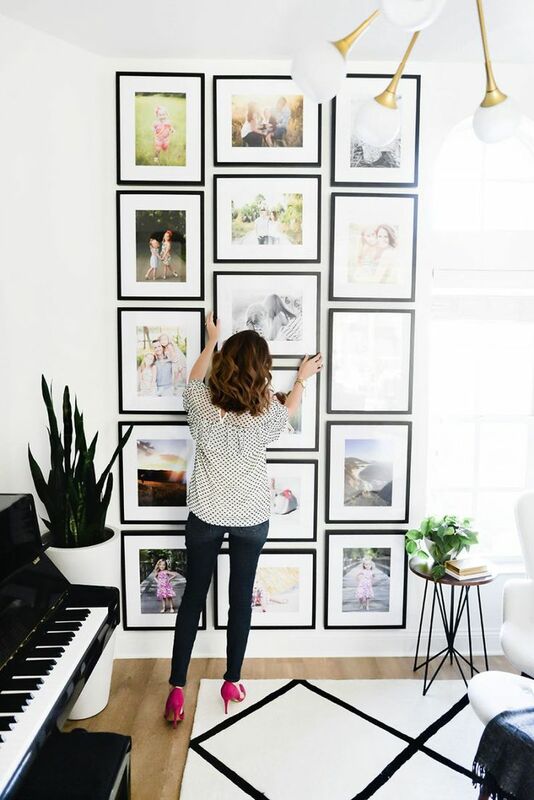 The $14.99 Ribba frames from IKEA are hard to beat -- I love this grid gallery wall is from Toria Erskine Total of the frames for this wall would be $135. 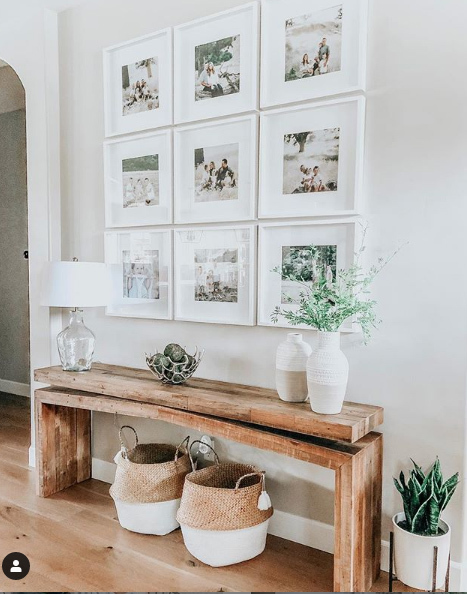 This wall from Shay Cochrane is perfection but the price is steep -- these are the Mercer Slim from Framebridge and at $85 a pop, this wall would set you back $1,360 *gulp* But to be fair, this does include the print and they do have coupon codes. 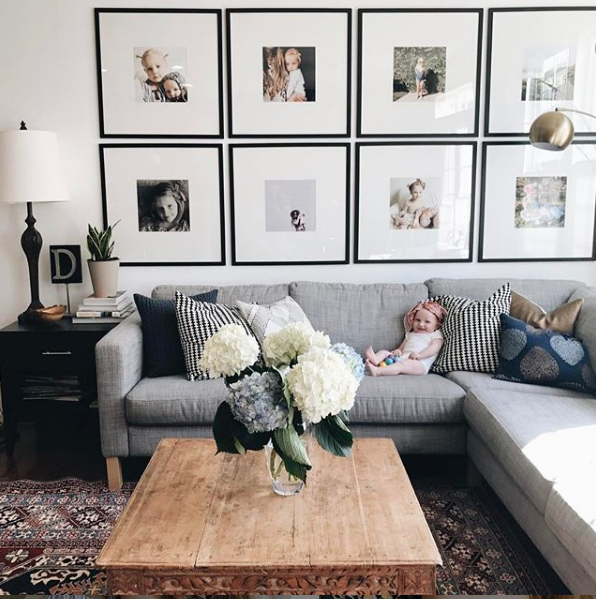 Don't you love this wall from Whitney Clarke on Instagram? 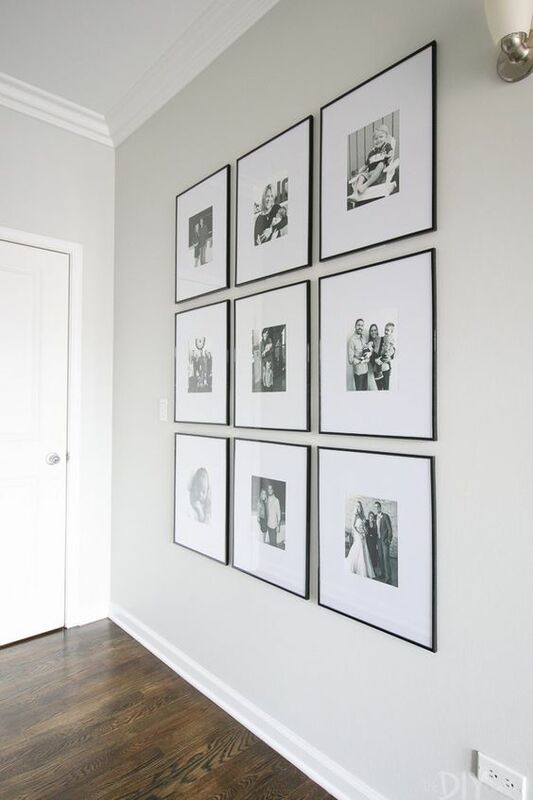 These Icon Black frames are from Crate and Barrel, to have eight as pictured would cost $400. 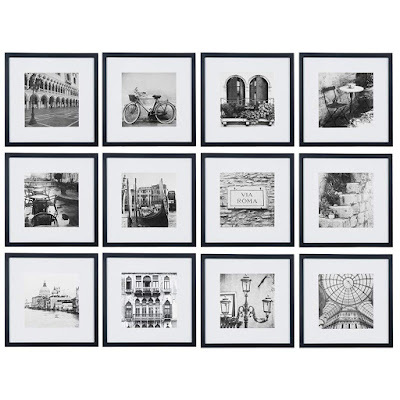 One of my favorites that I found on my search was at Hobby Lobby -- they are $19.99 each for the 16X20 and come with the museum mat but the big drawback for me was there was no hanging hardware included! This black set has twelve 12X12 pieces with the white mats for only $58 and it comes with hanging template. Look at the pictures in the reviews to get a better idea of the scale. 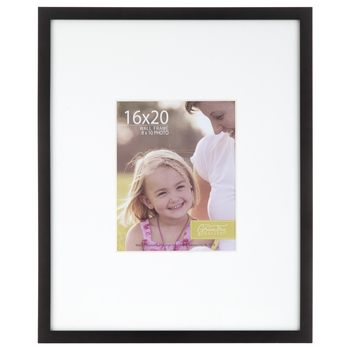 If you want a light wood option, these 16X20 (with mat!) are only $20 at Target, but add them to your cart and watch for a sale! They go buy one, get one 50% off quite often. 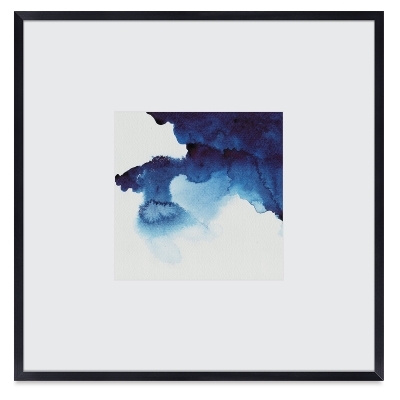 I also love the Chelsea 16X16 metal gallery frame from Blick or the Chelsea 16X20 metal gallery frame-- they also come with a mat and you can use the sale code to get an even better deal! and sometimes you can make the dollar store work for you too -- remember my $10.56 gallery wall?? That was 7 years ago in our Virginia home! 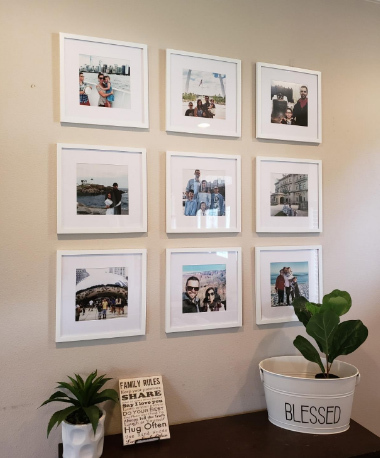 But you can still buy the $1 frames and then get some great mats to go inside. 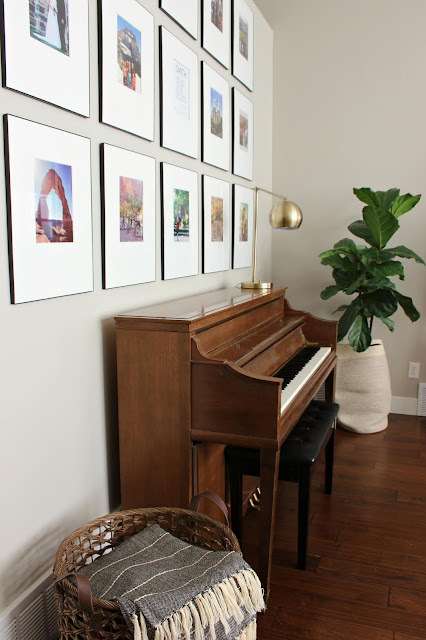 I hope this has been helpful -- I searched high and low when I was putting our wall together so I wanted to save you some time. Good luck!